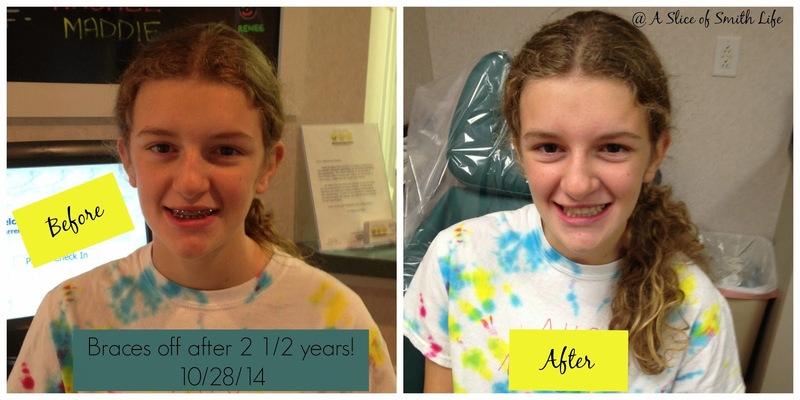 Our oldest daughter FINALLY got her braces off after 2.5 years! She was very excited! Her orthodontist gave her a bottle of candy and let her hit a drum. Then the staff sang a cute song to her. Look at what arrived in the mail this week compliments of Kendra at Catholic All Year! I was selected the winner from commenting on Kendra's post HERE. 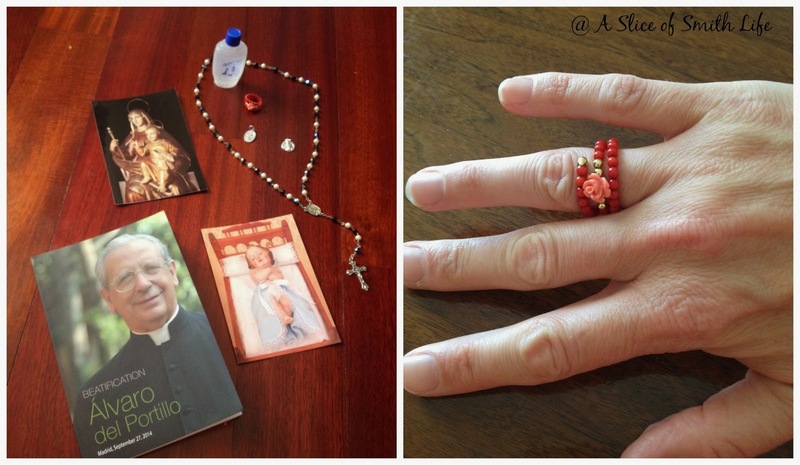 She brought these beautiful treasures home with her from her recent trip to Lourdes. Wow! What lovely gifts! Thank you Kendra! 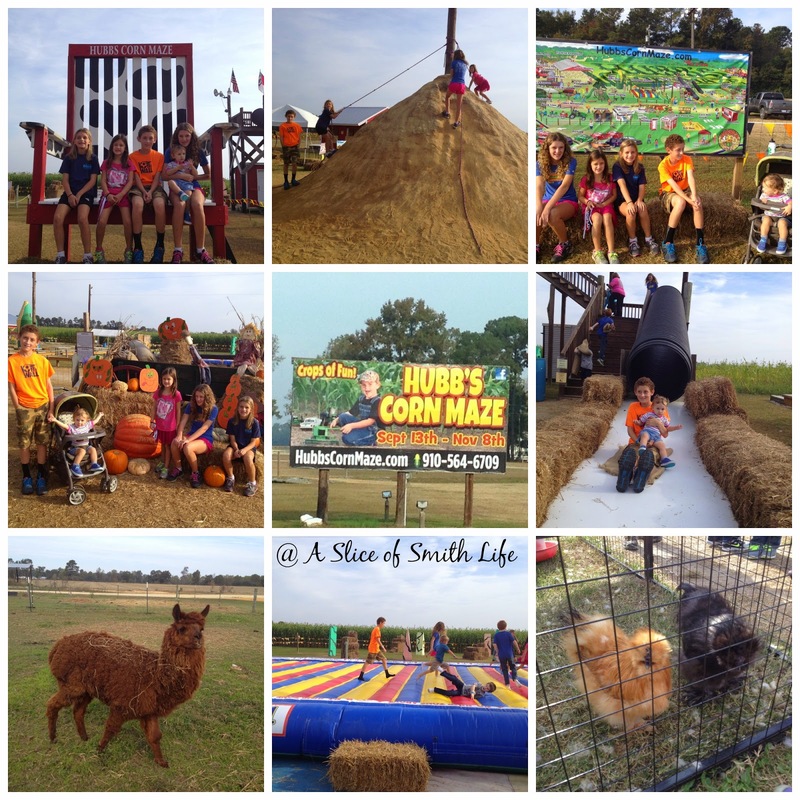 This past week, we went to a Corn Maze over an hour away from our house. 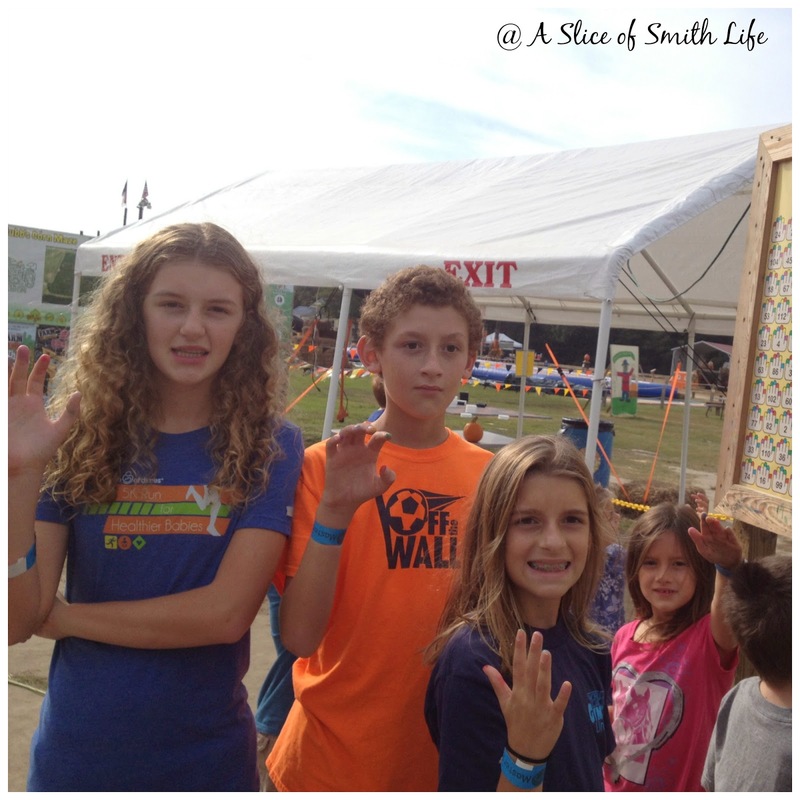 We went with a few of our homeschool families for the second year in a row. 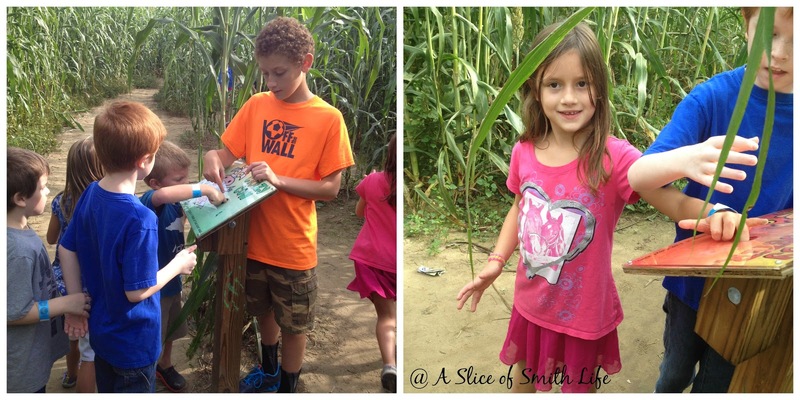 We enjoyed the beautiful day playing and doing the "finger" corn maze for younger kids (but all my kids enjoyed it). In a finger maze you find 5 different stations with different colored chalk. You put one finger from your right hand in the chalk until all 5 fingers have a different colored chalk. When you exit the maze you find the color pattern of your hand on a big board and it will tell you to do something silly like "Act like a chicken" or "Jump up and down". It's a cute maze. We saw some neat animals too! 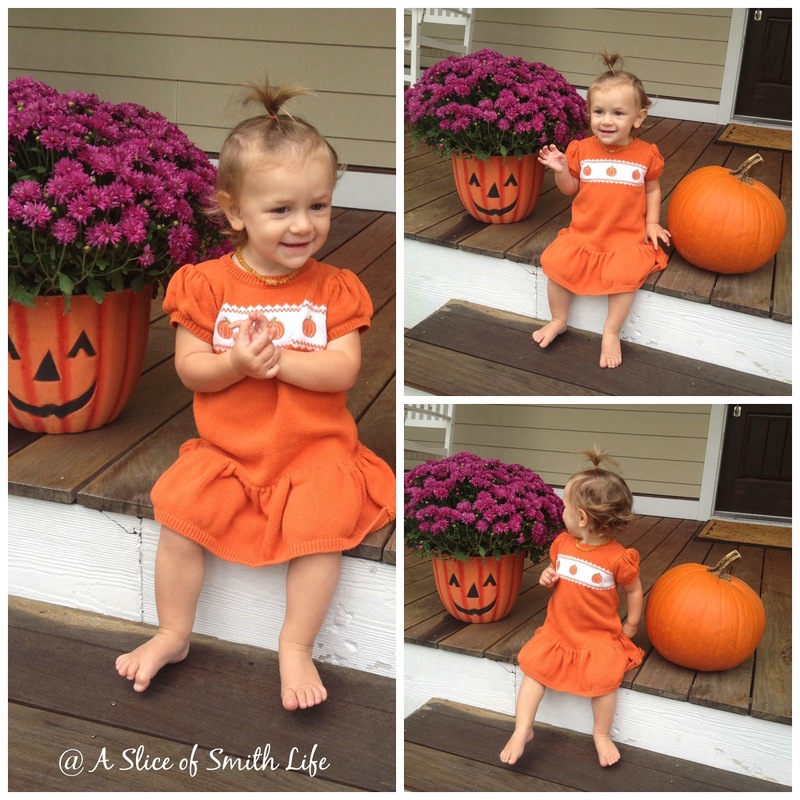 Our little pumpkin turned 15 months on October 30! Where does the time go? 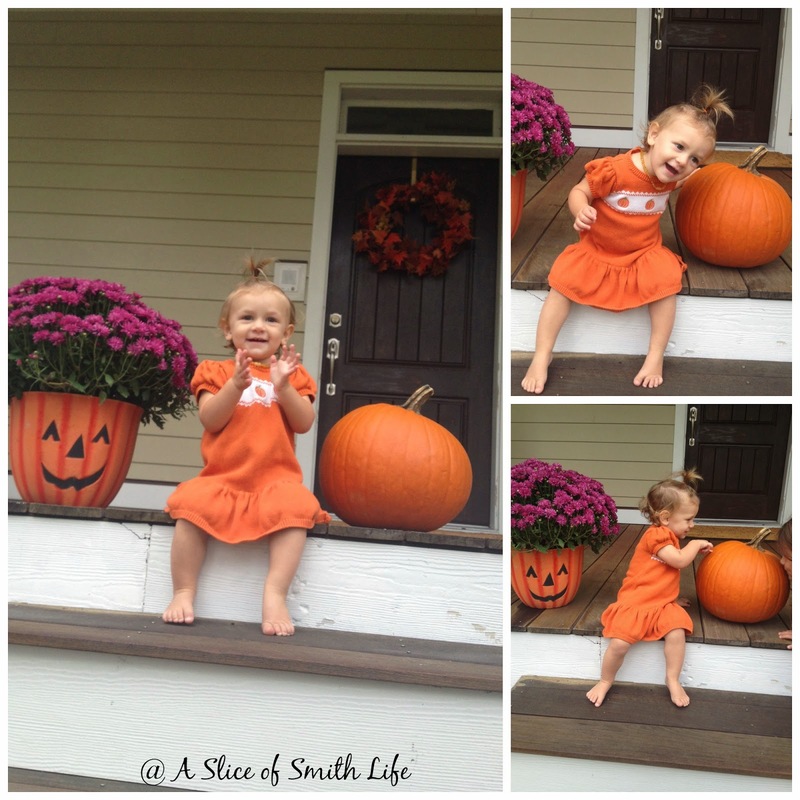 She was happy to sit on our pumpkin porch and take her photos while 2 of my other daughters encouraged her to smile big! This is so healthy, it's scary! 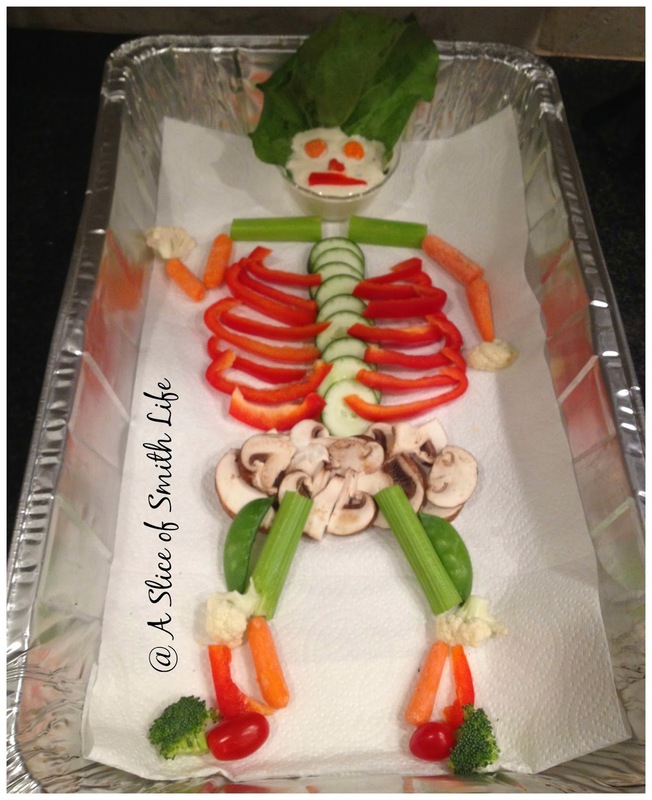 :) I found this healthy Halloween snack on a friend's Facebook news feed and printed out the picture so I could make it. I made it for the All Saints' Day party we are hosting today, Friday, Oct. 31. So we will be celebrating All Saints Day and Halloween (All Hallows' Eve) on the same day since All Saints' Day falls on a Saturday this year and Saturdays get busy for families. Speaking of (veggie) skeletons, be sure to check out Chris's Skeletal System Unit Study over at Campfires and Cleats! Lots of great resources and hands-on fun to study this fascinating body system! 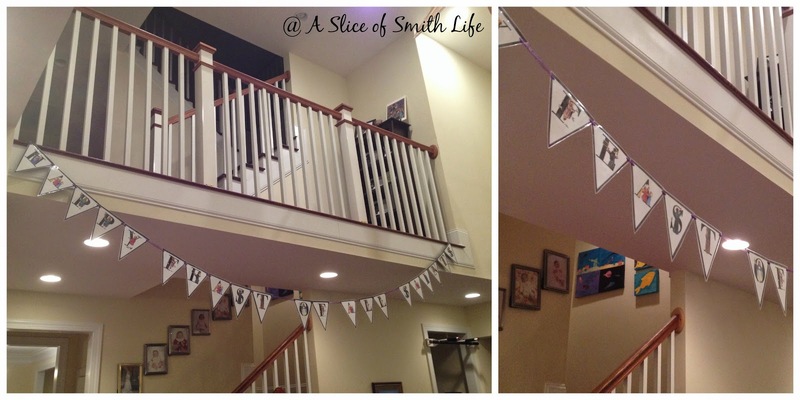 Speaking of All Saints' Day, this is the banner I made for our party, which says "HAPPY FEAST OF ALL SAINTS". Jessica over at Shower of Roses has a tutorial and printout of the letters with Saints on them HERE. I printed them and laminated the banner letters to be used for future All Saints' Day parties. Thank you Jessica! It's going to be a busy weekend with our All Saints Day party on Friday morning with our homeschool group and then I'm going to see a local ballet performance of Phantom of the Opera with my 4 older children and my mom. 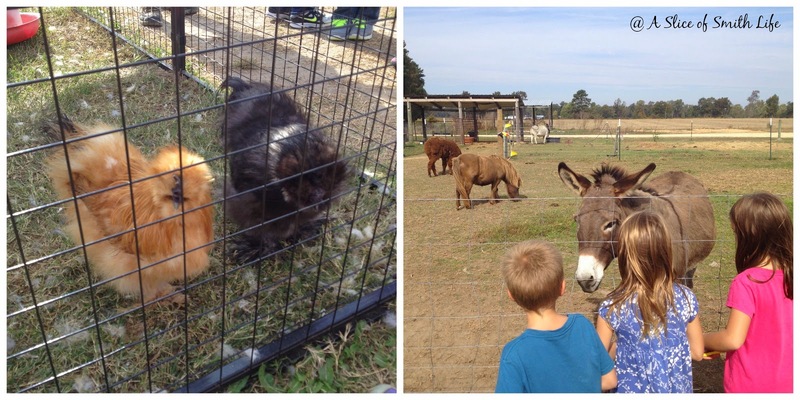 Then we have Halloween night festivities, Saturday soccer games, my oldest daughter will be singing at the Saturday Vigil Mass and then going to a Teen Homeschool Barn Dance. Two of my children also have birthday parties to attend for their friends. Whew! Have a blessed weekend! For more Quick Takes, visit Jennifer at Conversion Diary. Those pictures of the baby and the pumpkin are so cute! I love your banner - it's beautiful! Wow, what a FULL post! Love your banner, your veggie skeleton and all the amazing pics!! 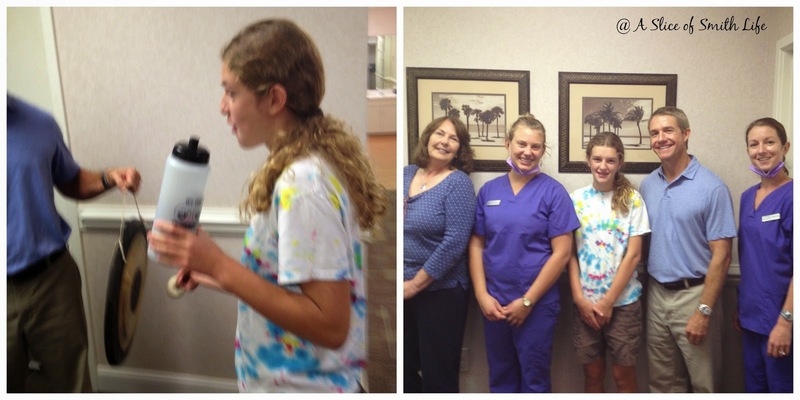 And congrats on your #1 dd getting off her braces! Pretty cool...and what a gorgeous smile. Enjoy your full weekend! Wow....sounds fun and crazy too. Thank you Billie Jo! I always admire your beautiful blog photos each time I visit your corner of blog land! Thank you Jessica! There are so many beautiful resources on the internet to "copy" and make our own, isn't there? Thanks Chris! It was a full week and weekend, as always it seems! Hope you are having a great week!